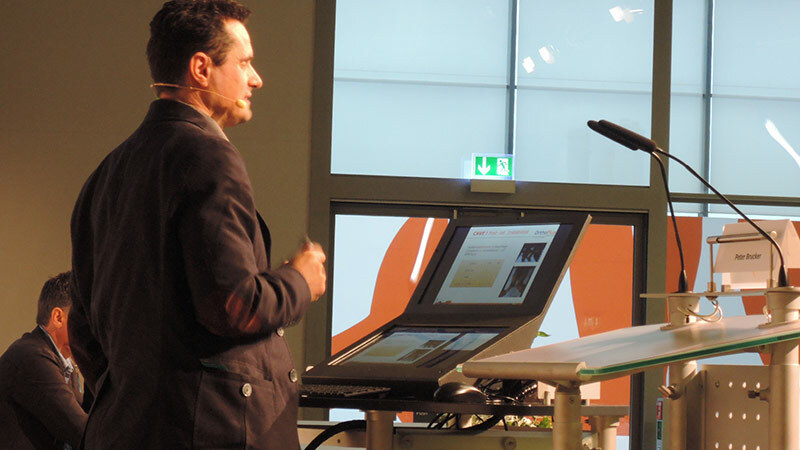 Trouble-free presentation for congresses with media check 2.0. 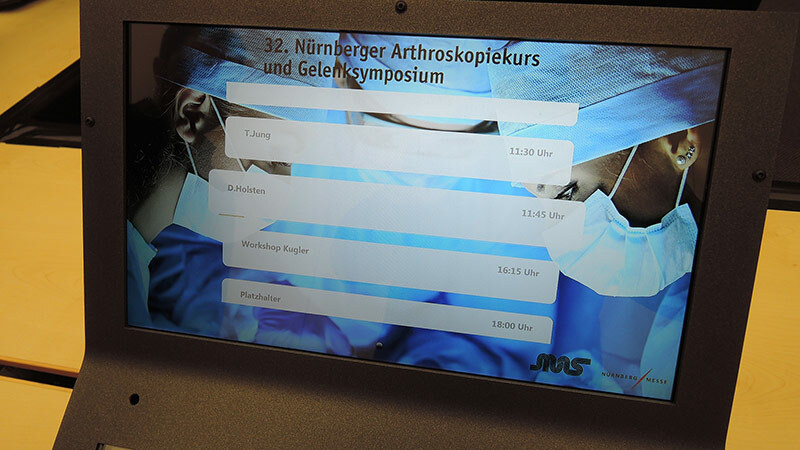 Media check 2.0 for congresses is a completely new, unique technology developed and built by us. Centralized administration and review of all speakers' lectures before they are forwarded via the internal network to the intended conference room. 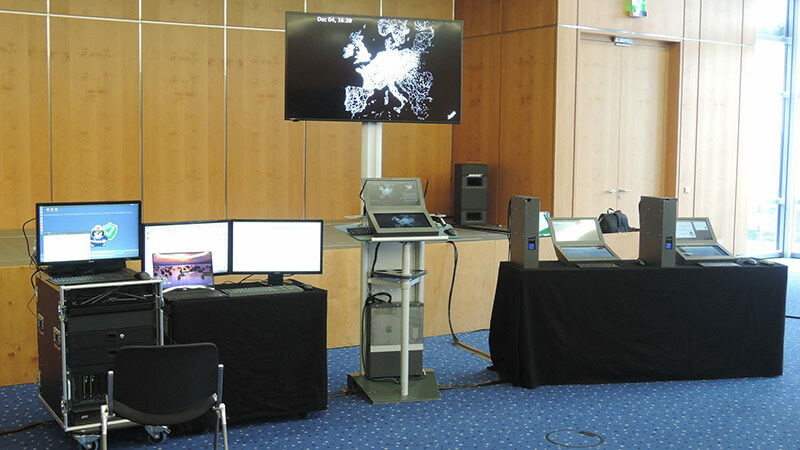 The presentation technology consists of a PC unit with MAC mini and UPS (uninterruptible power supply), as well as a desk unit with 2 integrated 15 "FullHD monitors for simultaneous presentation and speaker view. User-friendly operation is ensured by specially designed speaker software, which is designed for us, which provides the lecturer and visitors with the latest and upcoming lectures. Additional options are virus scanned computers, speaker time limitation and organizer package with room manager.